Shenzhen Shangmu Furniture Co., Ltd. Product Show If you want to know more infomation, please send inquiry to us. Related Products If you want to know more infomation, please send inquiry to us. Buyer Feedback If you want to know more infomation, please send inquiry to us. Another way,You provide product requirements to us, we provide design drawings and give preliminary quotes . Q6,Is there a price discount for large quantities of orders9 A: Yes, if you are in large quantities or have long-term cooperation. If there is any installation problem, please contact us and we will do our best to assist. 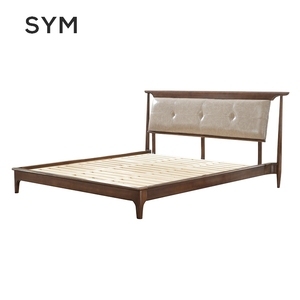 Modern teak wood modern bed designs / latest simple double bed design in woods / mdf wood bed designs Product show Related products Modern teak wood modern bed designs / latest simple double bed design in woods / china bed making factory mdf wood bed designs Product Specification Item NO. 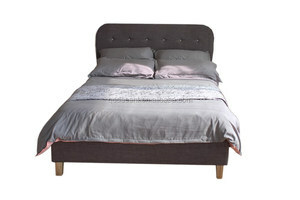 Description Demension(mm) BOY07 Bed-1.8M 1983 x2079x1080 BOY07 Night table 580x410x450 BOY07 Dresser 1200x410x749 BOY07 Dressing mirror 41 5x300x440 BOY07 Wardrobe -sliding doors 2395x634x2200 BOY07 Five drawer cabinet 595 x410x987 MOQ 1. 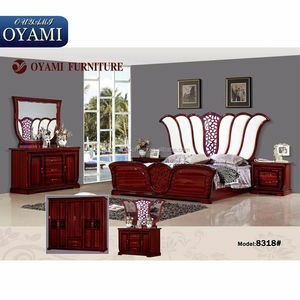 Furniture in stock :5 sets 2. Furniture not in stock: 5sets/item, 1x40HQ can have 3-4 items Payment terms: 1.T/T, 30% Deposit before production, balance paid before loading 2.L/C at sight. Inspection of goods Our QC team will inspet at least two times before packing the goods and maek the quantity is good before loading Delivery time 45-60 days after receiving 30% deposit or receiveing L/C from the bank Warranty 1.One year against manufacturing defect 2. Offer life time consultation on problem occurs Quality control in production: 1. before production, we will checkthe material with colors and features to make sure everything we are using on the mass production are strictly same as the sample showed 2.we will trace every step of the production from the beginning 3. When item finished QC checks 4. Before packing every items will be cleaned and checked 5.Before packing clients can send QC or point a third part to check the quality . Master Fang (Suzhou) Home Furnishing Brand Planning Co., Ltd. Welcome to visit our company website: Website on alibaba: "Quality First. &clubs; Q: Where is your factory9 A: We are locoated in Guangzhou Baiyun District, 25 mins away from Baiyun Airport. By air: We can pick you up from Baiyun Airport to our factory or we can pick you up from your hotel . by western union c). L/C at sight Warranty a). one year against manufacturing defect b). This fine tuning is what accounts for the unmatched comfort of the genuine memory foam mattresses. The lighter grade foam won't support you and will quit returning to its original shape after only a few months. 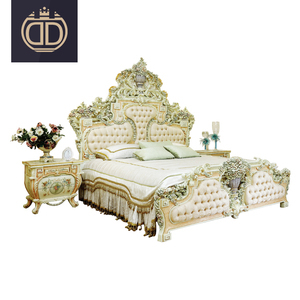 d) Before mattress delivery clients could send one QC or point the third party to check the quaity. 8. Send you back to your hotel to take you to the Metro Station or the airport. : 1. Q: Are you factory or trading company9 A: Yes, we are factory and have own sale office. 3. Q: Where is your factory9 A: We are locoated in Guangzhou, 25 mins away from Baiyun Airport. 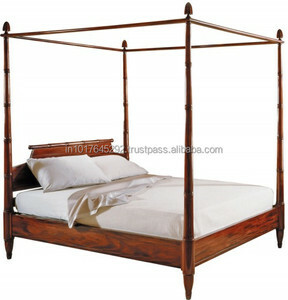 Alibaba.com offers 699 teak wood double bed products. About 63% of these are beds, 1% are plywoods, and 1% are mattresses. 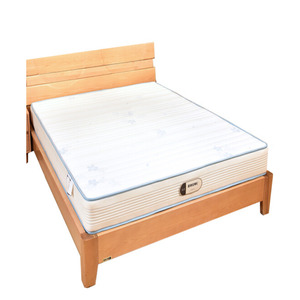 A wide variety of teak wood double bed options are available to you, such as home bed, hospital bed. You can also choose from wood, genuine leather, and synthetic leather. As well as from modern, antique. 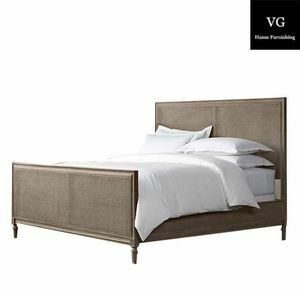 And whether teak wood double bed is no, or yes. 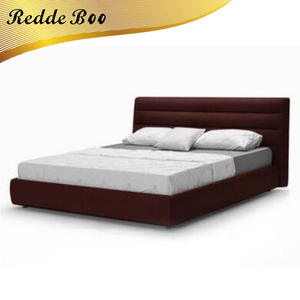 There are 663 teak wood double bed suppliers, mainly located in Asia. 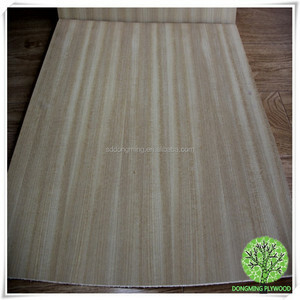 The top supplying countries are China (Mainland), India, and Indonesia, which supply 84%, 7%, and 5% of teak wood double bed respectively. 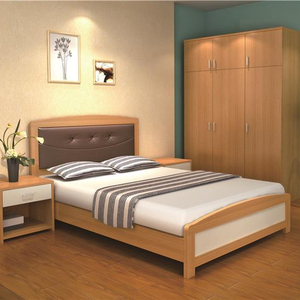 Teak wood double bed products are most popular in North America, Western Europe, and Mid East. You can ensure product safety by selecting from certified suppliers, including 190 with ISO9001, 57 with Other, and 43 with ISO14001 certification.